Nerve disorders are notorious for being difficult to treat through conventional methods. Many patients suffer needlessly, requiring daily pain pill use just to make it through the day. Fortunately, medical marijuana for nerve pain may be the answer. Numerous scientific reviews have found that marijuana is extremely effective at relieving nerve pain. In the literature, two cannabinoid receptors, CB1 and CB2, are of particular interest. When activated, these receptors help manage pain through the nervous system. Further studies have shown that marijuana alleviated neuropathic pain caused by diabetes, HIV, cancer, and multiple sclerosis. One downside, however, is that due to its relatively new status as a prescription drug, there is little standardization when it comes to how to consume it. Marijuana Pills vs Vaporizing vs CBD Oil: Which One is Better? Patients that are eligible for medical marijuana are often overwhelmed with options from marijuana pills, vaporizers, CBD oil, edibles, and much more. To further complicate the issue, these compounds are often not standardized and vary in both CBD and THC potency. Vaporizing marijuana for neuralgic pain works well for fast-acting relief but the effect may not last as long as marijuana pills or cannabis oil. The active compounds in marijuana do require dietary fat for proper absorption. Furthermore, it is unclear of oral doses lose potency after encountering stomach acid. This means that patients may need to experiment first and try what works best for them. 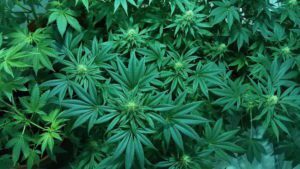 Are Marijuana Pills Legal in Ohio? Patients who are suffering from chronic pain and other conditions often turn to medical cannabis for relief. Research has shown that cannabis is not only safer than pain pills but even more effective! However, some people have confusion over what form of cannabis they should take. One question often asked is if you can obtain a prescription for a marijuana pill. First, it’s important to understand that no prescription will be provided for marijuana in Ohio. Patients who qualify for medical marijuana can receive a “recommendation” from their cannabis doctor. This recommendation is then used to obtain a medical marijuana license in Ohio. Once you have this license, you can bring it into any dispensary to purchase cannabis over the counter. As for medical cannabis pills, they will be legal to purchase if you have a license. However, it’s not immediately clear what forms of cannabis will be available in Ohio. For example, there might not be any manufacturers who sell these pills, so patients will need to rely on other forms like tinctures. However, it should be noted that if patients truly want to use a marijuana pill, they can make it themselves using the cannabis flower purchased in a dispensary. Some people have reported seeing CBD or hemp pills available in stores already. These pills do not contain THC – instead they’re made with cannabinoids from the hemp plant. Research has shown that cannabinoids can be effective for pain as well. Is It Time To Ditch Your Physician For A Fibromyalgia Doctor? Once an unknown disease, fibromyalgia has gained ground in the past decade of medical research. With its recent acceptance within insurance billing codes and an acknowledgment by the Social Security Administration as a valid disability, more doctors are hopping aboard. Yet, despite these advances, many medical professionals refuse to accept the reality of fibromyalgia pain. Millions of people around the world suffer from this legitimate disorder, and studies continue to back up their complaints of pain. If you or a loved one has experienced doubt or indifference by a doctor, it may be time to seek out a fibromyalgia specialist that understands what you’re going through.